H.E. Francis Matsutaro visited Iwaki City, Fukushima Prefecture with the other Pacific Island Ambassadors on November 21st – 22nd, 2014. Photo Caption 1: H.E. 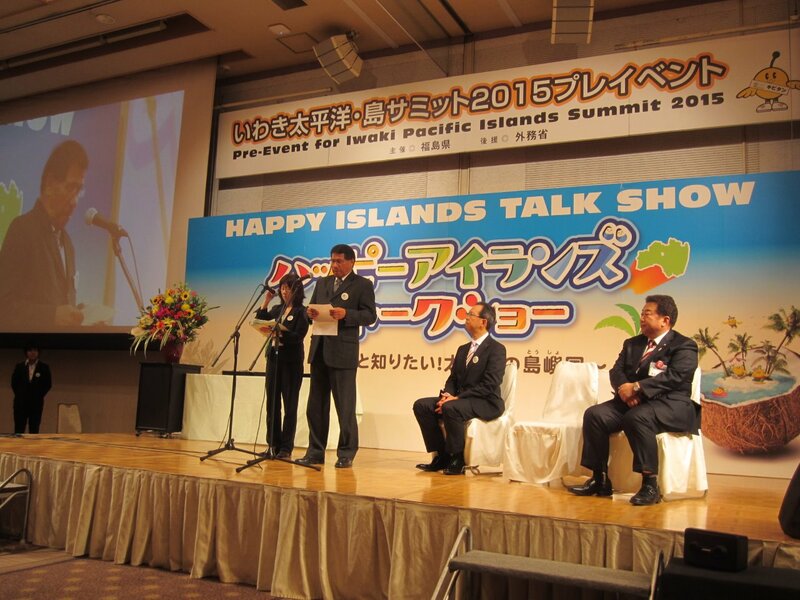 Francis Matsutaro making his remarks at the Happy Islands Talk Show. 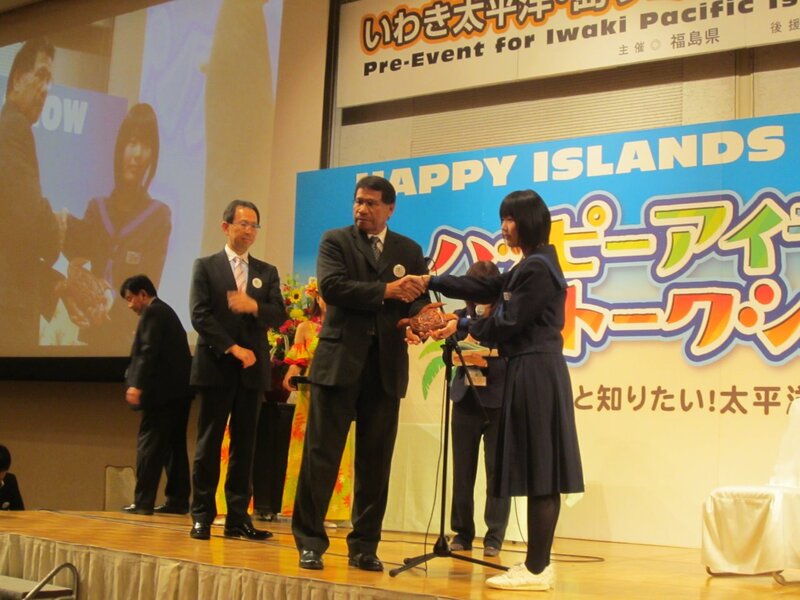 Photo Caption 2: Ambassador Matsutaro presents a Palau Storyboard to the winner of the poster contest, Ms. Misaki Ito. Photo Caption 3 (From Left to Right / In between the Spa Resort Hawaiian Hula Girls): Mr. Toshio Shimizu, Mayor of Iwaki, Mr. Masao Uchibori, Governor of Fukushima, Ms. Misaki Ito, winner of the poster contest, H.E. Francis Matsutaro, Ambassador of the Republic of Palau. Photo Courtesy of PIC (Pacific Islands Centre) and Fukushima Prefecture.